Any new dominant communications medium leads to new information in a society and inevitably changes the way ideas, feelings and powers are distributed and the way collective decisions are made. With just a few days to the general election in the country, the monopolization of the nation’s dominant communications medium-the television – for debate by various candidates vying for different public offices is no doubt quietly influencing our ideas, feelings, powers and the way collective decisions are made equally changing. Our emotions are in particular experiencing these changes as pointed out by Al Gore, former United States Vice President and author of ‘An Inconvenient Truth’. Adding context to this discourse, in as much as it’s not targeted at going into specifics about individual performances at the debate, or the writer commissioned to judge those lacking virtue of prudence, it will be rewarding socioeconomically that from these superficial exchanges called debate by public office seekers, Nigerians now treasure in their minds two great lessons about the broadened threats they currently face or have failed to consider in the past. First, the vibes coming from the debates have made it pedestrian knowledge that these gladiators jostling for different positions are but a combination of contenders and pretenders and the second emphasises the need for electorates to develop capacity and master the act of scrutinizing different threats in order to accept the lesser evil. Yet, despite the popularity of this new knowledge it has not in any appreciable way throughout the country brightened mutual suspicion and underlying animosity that borders majorly on sincerity and abilities of these gladiators, and exists between politicians and the people. Consider the matter of the recent debates for example, it is painfully obvious that while a few proved exemplary and impressive, others were dull and uninspiring- lacking in both action, logic and strategy needed to analyze trends, predict socioeconomic consequences, and implement programs of action that will serve the public’s interest. 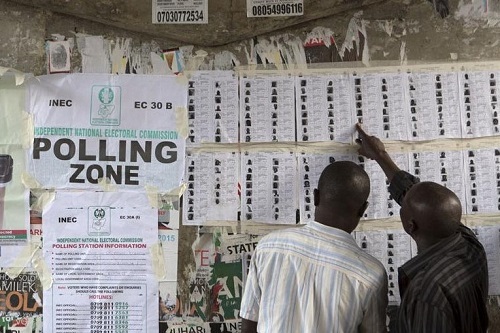 Regardless of this overwhelming performance by the few, Nigerians appear not to go with mere spoken performance having recognized that electoral exercise is both programme and strategy based and a keen contest where the candidates with the best programme and realistic strategies for achieving that programme are given priority and favored. Consequentially, the countdown to the election is laced with trepidation with the youths of the country who were not of age in 2015 angling to vote for the first time. Those who voted four years ago are ready to enter the election with a new dream on their minds and with a different mentality than they had in 2015. 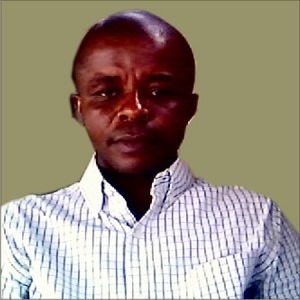 Now that the accrued democracy dividend to our nation is particularly low with nothing to celebrate, so has the need for a shift in the nation’s leadership structure become inevitable to accommodate Nigerians who can take responsibility for their actions and results, be accountable where previous administrations have not, and tell the truth about their failures without blame games. This is our patriotic responsibility and that we must do at ‘the most fundamental level. Nigerians have however recently made significant progress in some areas- enrollment and collection of their Permanent Voters Card (PVC). However, we must be modest in our belief that the possession of PVC alone can impose true democracy on our political space as what happens inbetween elections determines the authentic winner. Among other probable factors threatening the electoral goal, separating pretenders from the contenders, and the irresponsible from the responsible should be of considerable importance to Nigerians. Going by this level of consciousness, and if truly a people-purposed leadership is what we seek, if accelerated economy is our goal, if social and cultural development is our dreams, if promoting peace, support our industries and improve our energy sector forms our objectives, my suggestion is this; it would be important for us to openly admit and adopt both structural and managerial changes. Definitely, this will involve electing as leaders Nigerians with welcoming approaches that impose more discipline than convention and can create government institutions that are less extractive but more innovative in operation. Those that are capable of making successful decisions built on a higher quality of information while dropping the age-long mentality which presents execution as more important than idea incubation. And this solution to our problems, urgent as they are, must be constructive and rational with emphasis on electing all categories- leaders that will be transparent and help in building institutions that will strengthen the fight against corruption. Transparency will as always remain the cornerstone as the current vibes coming from the world. In the same vein, a similar warning came recently from Transparency International stating that corruption in Nigeria is on the increase of which the situation in my view may become worse if something dramatic is not done to arrest the drift. Very instructive also, for us to be successful in the forthcoming election, we must realize that to safeguard democracy, ‘the people must have a keen sense of independence, self-respect, and oneness’, and insist on choosing the right people as their leaders against all odds. Jerome-Mario is a Social Entrepreneur and an alumnus, School of media and communication, Pan Atlantic University, Lagos, Nigeria.